After you see the title of this post, I know you must be wondering if I have lost my mind. 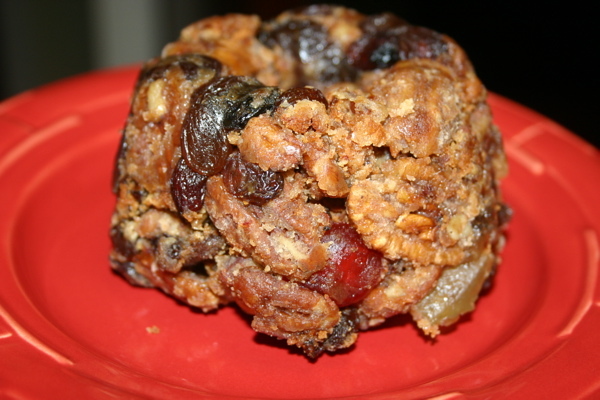 Fruitcake has become a holiday joke, and I wholeheartedly agree that many fruitcakes deserve the negative stereotype. This recipe, however, pleads for you to give fruitcake a second chance. 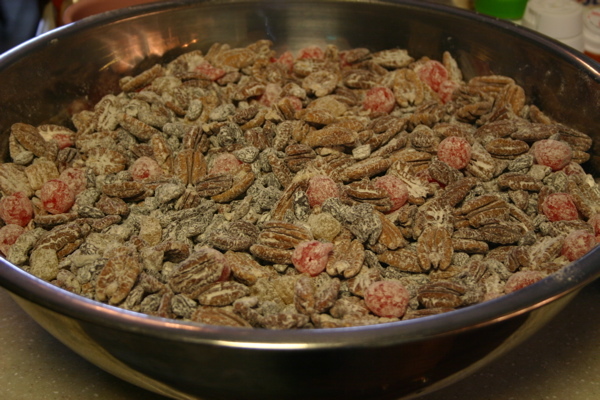 I have many fond memories of my parents making this treat during Christmas time. Even as a child I would eat it but I did not enjoy it as much as I do today. My tastes have changed. 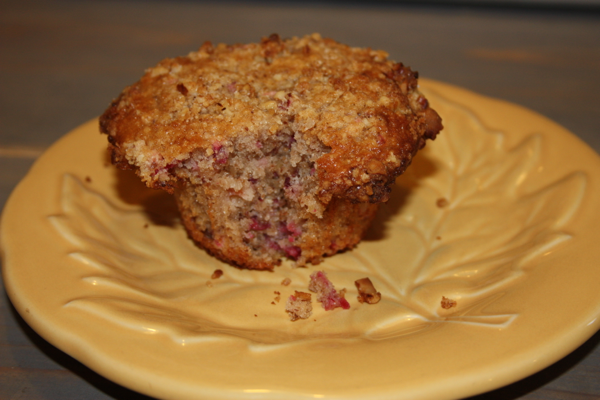 This recipe originally came from one my godmother’s mom. It is a wonderful Italian recipe that I can see being passed from generation to generation. Although it is not a complicated recipe by any means, you will want to make sure you have some extra hands to help you once you are ready to put the fruitcakes in the molds. You will want to make sure you place the mixture in the molds while the mixture is still warm so that you can get it pressed into the molds properly. 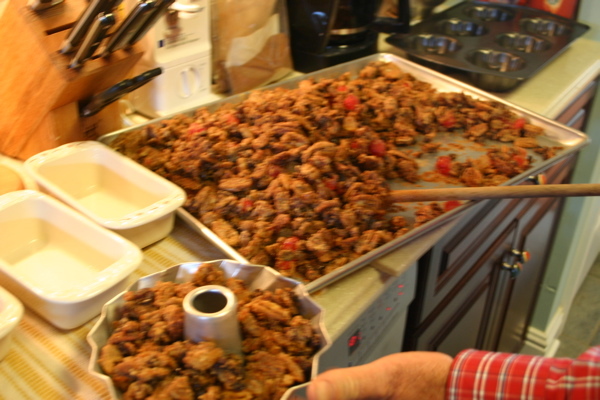 When I visited my dad over Thanksgiving, making this fruitcake was one of the tasks requested by my dad. 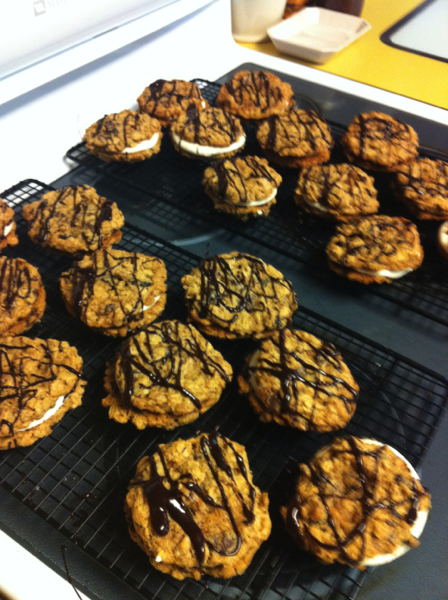 With recipe and molds in hand, I was ready. Jeffrey was along for the adventure, but he was a more than a little bit skeptical about “fruitcake.” As we went through each of the steps of the recipe, Jeffrey decided that there really wasn’t anything in this that he didn’t like in the recipe. He tried it and decided it was a glorified, holiday praline. I’m not sure its exactly like pralines, but I can see where the caramelized pecans would resemble pralines. If you enjoy pecans as much as we do (Jeffrey and I), will you do something? Will you give this recipe a chance? It is wonderful. I gave one to my neighbor and she gobbled it down quickly. She actually called the evening after I gave it to her and left a message saying “this is delicious, but I can’t stop myself from eating it.” I think that is one of the best compliments a cook can receive. So that leaves me with two questions. First, who is brave enough to try this recipe? Second, what is your favorite compliment to your cooking? Flour all fruit and nuts by placing them in a plastic bag and shaking (I use a gallon sized bag and this takes several times of filling the bag and shaking. I think this would be a great step for kids to be of assistance) . Once the fruit and nuts are floured place them in a large bowl. Cream the butter in a stand mixer. Add sugar and eggs to butter and cream again. Add flour, spices, and salt to your butter mixture. Mix well. Pour butter mixture over fruit and nuts. Stir, stir, and stir some more! You want to stir until the fruit and nuts are fully coated. Pour mixture into a large jelly roll pan (I had to use two pans last time I made this recipe). Bake at 350° for 45 minutes to 1 hour stirring mixture every 15 minutes. 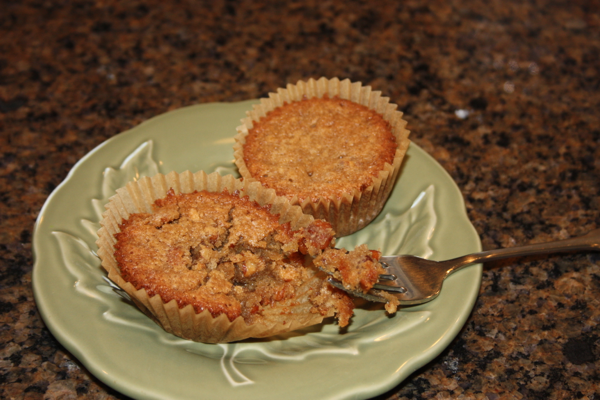 You will notice the mixture changes colors to a nice golden brown. After you see the color change, remove the mixture from the oven and and press into well buttered molds. Once the fruitcake has set and cooled, remove your fruitcakes from your molds and wrap them well with plastic wrap. 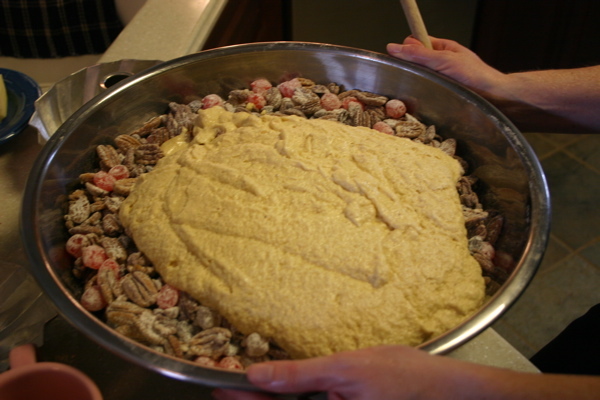 The butter mixture is dumped over the fruit and nuts and ready for mixing. Place your cooked fruitcake batter into your molds. This step is where having extra hands helps. I dislike fruit cake but this is the best, everyone should try it!